Blog / Section B benefits and injury compensation, what forms do you have to sign? If you’ve been injured in a car or motor vehicle accident, there are two broad categories of compensation available to you. The first is accident benefits sometimes called Section B benefits. These are also called “no-fault” benefits because they are available to you, under your own insurance policy, regardless of who is at fault for the accident. The second category of compensation arises when your injuries are caused by the negligence of the other driver. In this situation, you can seek to recover compensation for your injuries (and other types of damages) by starting a civil lawsuit. That lawsuit is referred to as a tort claim. Depending on your injuries you may, or may not, be subject to the soft-tissue injury cap. It is important to remember that the result of every case will depend on the specific facts involved. That is why we offer free consultations to injured people – so they can make informed decisions about what to do next. In both Section B benefits cases and tort claims, you are required you to provide information and sign documents, but you should be aware of what you must do to access benefits and what to watch out for when providing information, particularly to the other party’s insurance adjuster. This blog post reviews a typical Section B benefits situation. What Kinds of Medical Costs are Covered by Section B Benefits? Section B Benefits consist of three categories of accident benefits: 1) medical benefits, 2) death and disability benefits and 3) benefits for accidents occurring outside Alberta in a no-fault jurisdiction. The benefits you receive will depend on the type of injury you have. 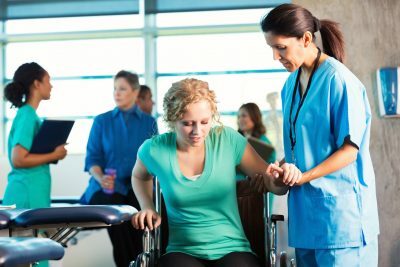 It is worth repeating that Section B medical and disability benefits are provided to you regardless of who is at fault for the motor vehicle accident. Section B Benefits will pay up to a maximum of $50,000 for anything medically necessary to treat your injuries that occur within two years from the date of the motor vehicle accident if these are not covered by Alberta Health Care or another insurance plan. Under Section B benefits for disability, there is a one-week waiting period where no disability benefits are payable. After that week, your benefits are calculated at 80% of your gross weekly earnings to a maximum of $400 per week, for a maximum of 104 weeks (2 years). These disability benefits are considered supplemental to any third party insurance you might carry through your employer. Therefore, you may be able to access Section B benefits to top up disability benefits that are payable to you as part of your employment, again up to a maximum of $400 or a lesser amount that tops you up to your gross weekly earnings. The same time limitation applies, i.e., 104 weeks. To learn more about Section B Benefits medical coverage, see your automobile insurance policy for details or contact one of our personal injury lawyers. What Documents to You Need to Submit to Apply for Section B Benefits? See a Primary Health Care Practitioner (e.g., chiropractor, medical doctor, physical therapist) as soon as possible for an assessment of your injury and if needed, treatment advice. Complete a Form AB-1 “Notice of Loss and Proof of Claim,” retain a copy for your records and send the original signed form(s) to your insurance company. Complete a Form AB-1A “Disability Benefits,” retain a copy for your records and send the original signed form(s) to your insurance company. Have your health care practitioner complete a Form AB-2 “Treatment Plan,” retain a copy for your records and send the original signed form to your insurance company. When you retain us to help you with your personal injury claim we will help guide you through filling out the forms and making sure they are submitted within any deadlines. Do You Need to Sign a Release of Information Authorization to Receive Section B Benefits? Yes. It is necessary to provide your written consent to your insurance company to authorize the sharing of your personal information so they can substantiate your Section B Benefits. Refusal may result in the inability for your insurance company to process your claim. IMPORTANT: You are not obliged to provide information (medical or otherwise) to the other party’s insurance company or adjuster, and you should not speak to anyone about your claim besides your own insurance company, your medical treatment providers or your lawyer during the claims process. What Happens if an Insurance Adjuster Contacts You? If you are in an automobile accident, an adjuster from the at-fault party’s insurance company may call you. You should not speak to the adjuster representing the party responsible for causing your injuries. You may be asked to give a statement or sign documents allowing the other party’s adjuster to have access to all of your medical information. Don’t provide them with a release of medical information or any accident information. You can politely advise them that it is your understanding that you are not obliged to speak to them about the accident and that if they require additional information they are welcome to contact your lawyer (if you have one) or your adjuster. Remember that all insurance companies are in business to make a profit and that an injured person is seen as a potential expense on the insurance company’s balance sheet. Ideally all medical documentation and other accident information should be provided through your lawyer.